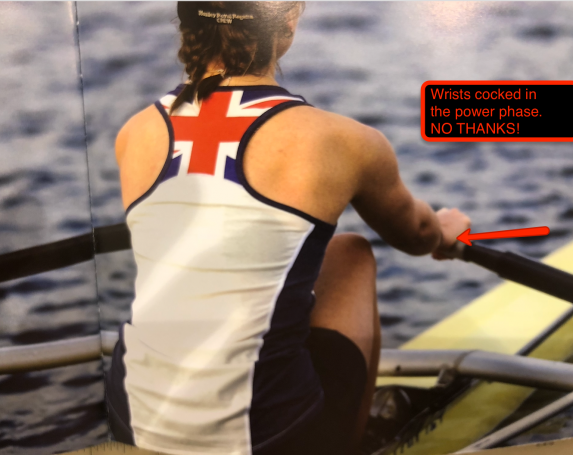 Tiny bits of information all add up in the mind of a reader and so bad or poor quality rowing technique should never be allowed to reach the public, especially when a venerable institution like the Henley Royal Regatta Stewards are behind it. Take a look at this – the front cover of this year’s Mementoes 2018 catalogue. 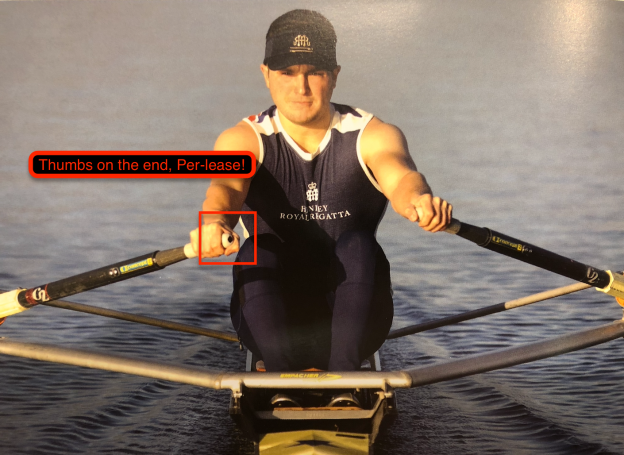 Look at the sculler’s hand positions – his left hand has the thumb on the end of the grip and the right does not. 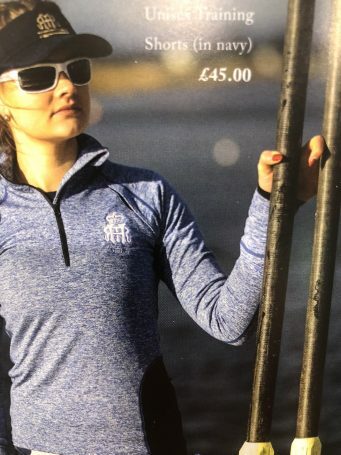 Yes it’s a minor point, but seriously, I think it should be considered by the graphic design team before choosing how to illustrate a catalogue. There are plenty of great looking athletes to choose when designing a fashion shoot. Take Rock the Boat’s capri leggings – nice lady, perfectly positioned at the catch on an erg – not over-compressed, handle height perfect. But the images below just don’t do justice to HRR as a brand. Do you agree? Oh so pretty but can you scull? 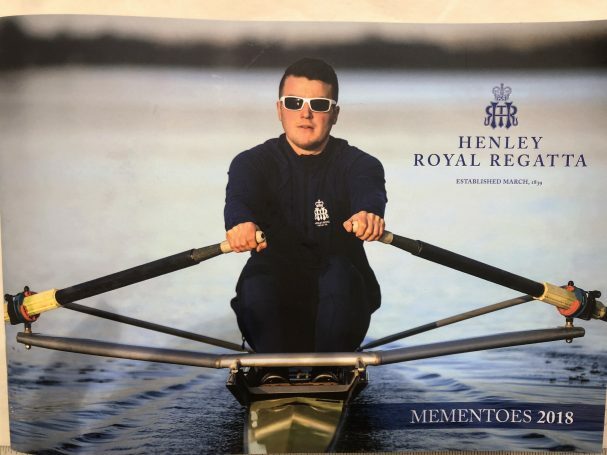 This entry was posted in Technique and tagged Henley Royal Regatta, HRR, rowing gifts. 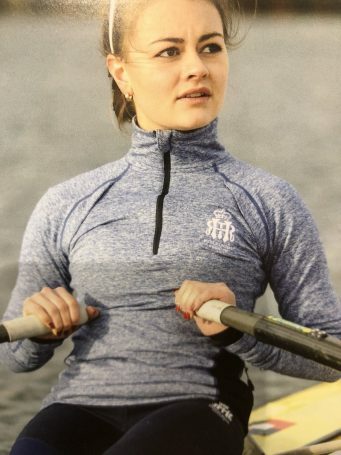 The long fingernails are a giveaway that she is not really a sculler. Totally agree, Susan! However, it probably is possible to row with long fingernails – in practice, few of us choose to do it! Dropped elbows dropped wrists may help avoid fingernail damage. You speak a universal truth: that to people who understand a given sport or pastime actors always look fake. As well as a rower I’m a guitarist: I can tell in a heartbeat whether a photograph of someone with a guitar (not even necessarily playing it) knows anything about the instrument. And since “fake” implies “off-putting, here’s a company I don’t want to deal with”, why would anyone do that? Yes, and in films I can tell if someone isn’t a violin or cello player… the Witches of Eastwick is a great example.